Bad news and good news for Aquarium Design Amano (ADA) fans. First, the bad: as of November 1st, 2010, the prices of Aqua Design Amano products in the US have increased due to increases in raw material prices and exchange rates. Yes, some of the best aquarium equipment available here in the US to aquascapers has become even more dear. No word yet on exactly how much of a price increase it was. Now the good news: The Aquarium Design Group (ADG) store is delaying the price increases until January 2011. That means that even though the prices on ADA items has increased, you'll continue to pay the old prices at ADG until January, and ADG's next container shipment of ADA goodies is set to arrive December 7th. This means most out of stock items will be back in stock in time for the holidays. 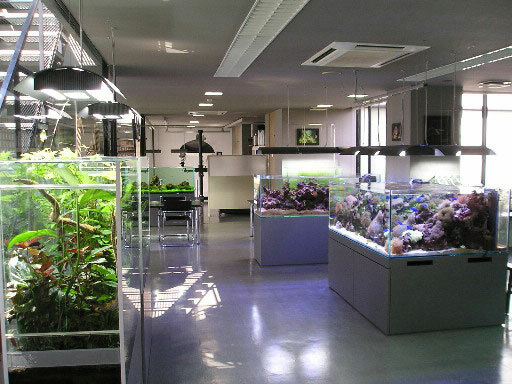 Not only Nature Aquarium Goods but also Do!aqua products and Wabi-kusa are introduced. It presents the full lineups of ADA products. 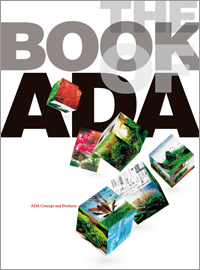 This informative book shows ADA products, beautiful aquascapes, layout making, technical know-how of maintaining living organism and equipments, distributors and supporters' list, and more. It is recommended for all aquatic plants hobbyists from advanced level to beginners! This sounds like an amazing resource, even if you aren't sure you want any ADA products! I'll be sure to try to get my hands on one, and don't forget to place your orders at ADG before January 1st to get the lower prices. This news has been quite depressing for those who would want setting up tropical fish tank their own way. The prices for the newly invented tanks has been increased. And so those who wish to have this kind of designs will just have to wait. Picking the right tropical fish tank will make the care of your tank easier and much more fun for both you and the fish, so you will want to choose an aquarium that not only looks sharp, but is also functional and appropriate for your needs. Excellent blog, If you are unable to find the answers to your questions, as to what size aquarium you need to purchase, you may have better luck going with a large, oversized aquarium. That place is a heaven for me. I wish that I can visit that wonderful place. I want to see all that fish tank personally. I want to get some ideas in building a fish tank.